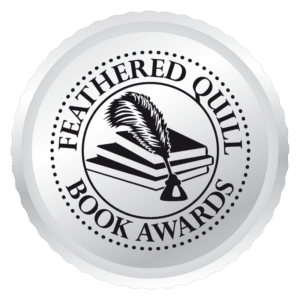 Carly Kade is an award-winning equestrian author from Arizona. Creative writing makes her spurs jingle! 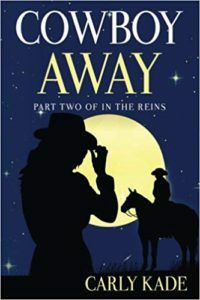 She writes fiction about horses, horse shows, Western pleasure and a handsome cowboy or two. 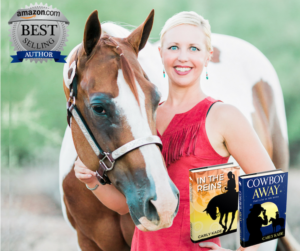 Her books are for people just like her — crazy about reading, horses and cute cowboys! In her free time, Carly enjoys competitively showing her registered Paint Horse, works on her next novel, reads voraciously, spends time with her two adopted dogs, and loves exploring the great outdoors. 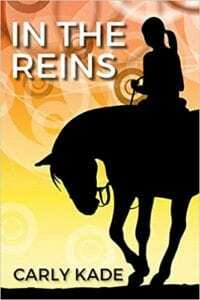 In the Reins, the first in Carly's series of novels inspired by the equestrian lifestyle, has been an Amazon best seller for more than 10 weeks, is an EQUUS Film Festival Literary Award Winner for Best Western Fiction and has earned two Feathered Quill Book Awards in the Romance and Adult Book featuring Animals categories. The book is available now in Audiobook, Paperback and eBook on Amazon, Barnes & Noble, iBooks and Kobo. Visit Carly's blog where she shares new videos, photos and stories that highlight interesting cowgirl topics, horse tips, series sneak peeks, event updates, and release info! Youtube & Blog: Watch Carly Kade Creative Videos on YouTube and visit the blog too!